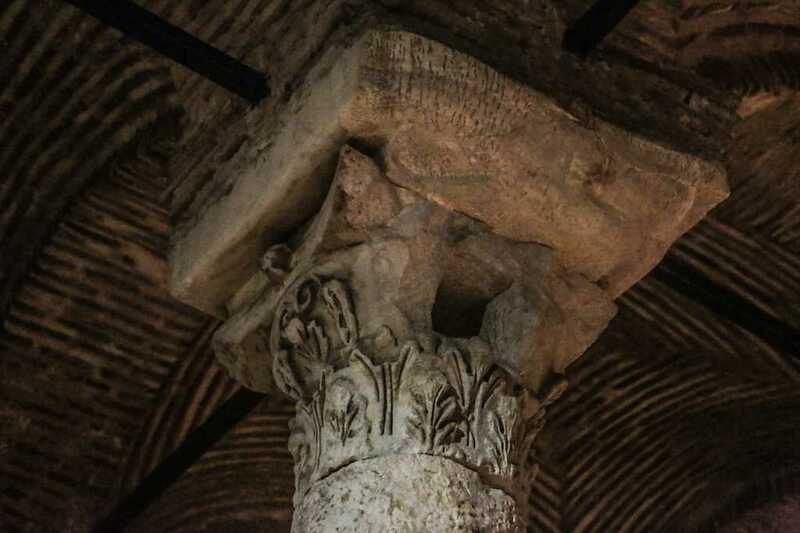 This Byzantine structure was commissioned by Emperor Justinian and built in 532. Underground Basilica (Also called Underground Cistern) is the largest well preserved cistern in Istanbul, which is constructed using 336 columns. According to historical texts claims, over 7,000 slaves were involved in the construction of this cistern. 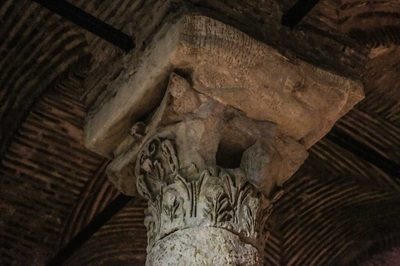 Most of the columns were salvaged from ruined temples and fine carved capitals. Its is build with great symmetry and sheer grandeur of conception.During Summer Days, Underground Cistern would be a cool stop to be refreshed due cavernous depths, make a great retreat on hot summer days. 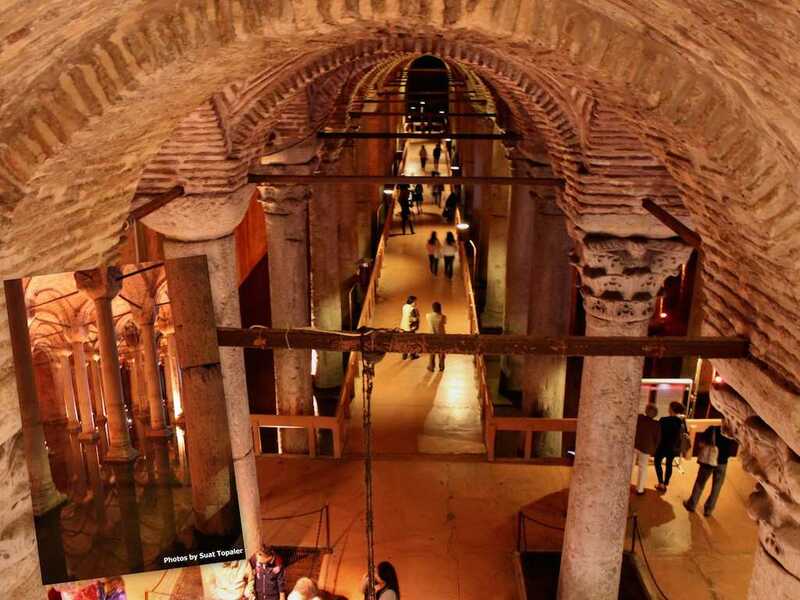 Underground Basilica is designed as water storage to service Great Palace of Byzantine and surrounding buildings with capacity of 80,000 cu metres of water delivered via 20km of aqueducts from a reservoir near the Black Sea. 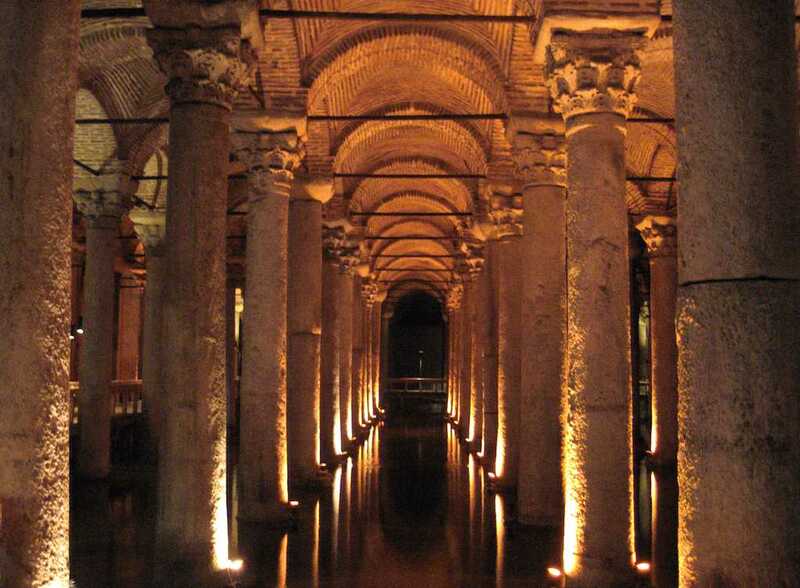 The reason it's called Basilica Cistern, because it lay underneath the Stoa Basilica which is one of the great squares at the first of Seven Hills in Constantinople. 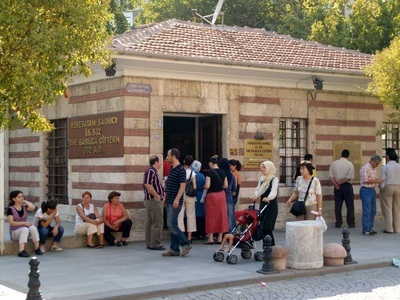 Following by relocation of Byzantine emperors from the Great Palace, Underground Cistern was closed and forgotten by the city authorities before the Conquest. Basilica Cistern is rediscovered again in 1545 by scholar Petrus Gyllius, who researches Byzantine antiquities and was told by local residents that they were able to obtain water by lowering buckets into a dark space below their basement floors and even sometime catch the fresh water fish.After some research between basements of local residents, Gyllius discovered main access to the cistern. 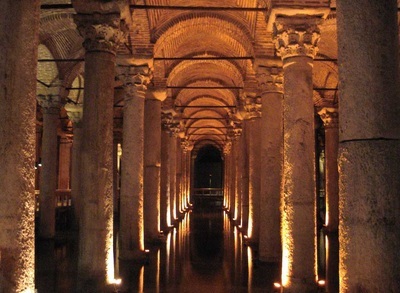 The Basilica Cistern has passed several restorations since its discovered. Beginning of the repairs were carried out twice during the Ottoman Empire in the 18th century during the reign of Ahmed III in 1723 by the architect Muhammad Agha from Kayseri. The second detailed repair was completed during the 19th century during the reign of Sultan Abdulhamid II (1876–1909).Masonry and damaged columns were repaired in 1968. And finally Underground Basilica was renovated in 1985 by the Istanbul Metropolitan Municipality and opened gates to the public in 1987. 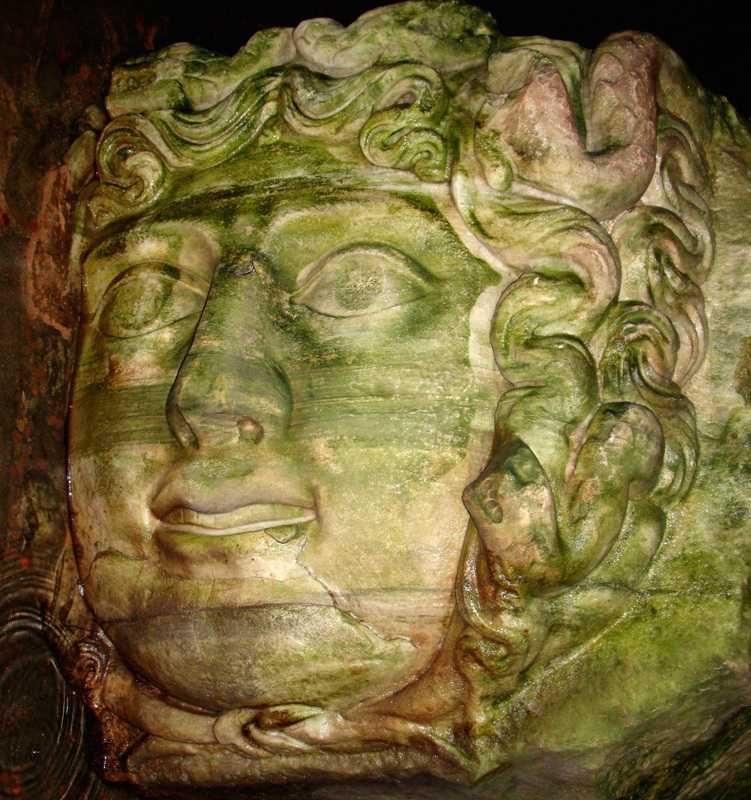 Maybe most interesting highlight in this cistern is the upside down Medusa heads located in the northwest corner of the cistern. 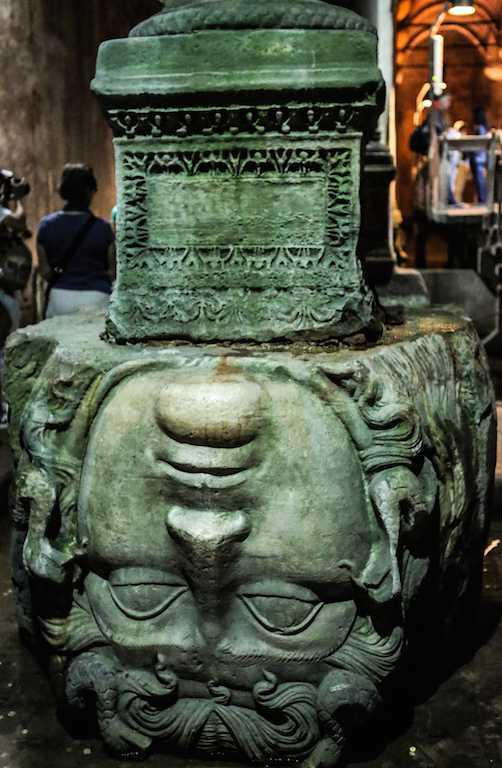 Nobody knows where actually these two Medusa heads come from, however it is a possibility that the heads were taken/removed from the late roman period building and moved to this basilica. Also some people believes that their wish will come true after throwing coins in to this magical water around the Medusa heads. It's now one of the most popular sightseeing point in Istanbul with its raised wooden platforms. 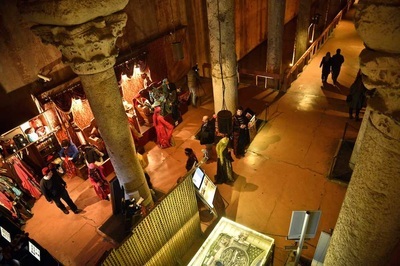 Besides being tourist attraciton and museum, at present day Basilica Cistern welcomes modern concerts and theatre plays under it's historical roof.